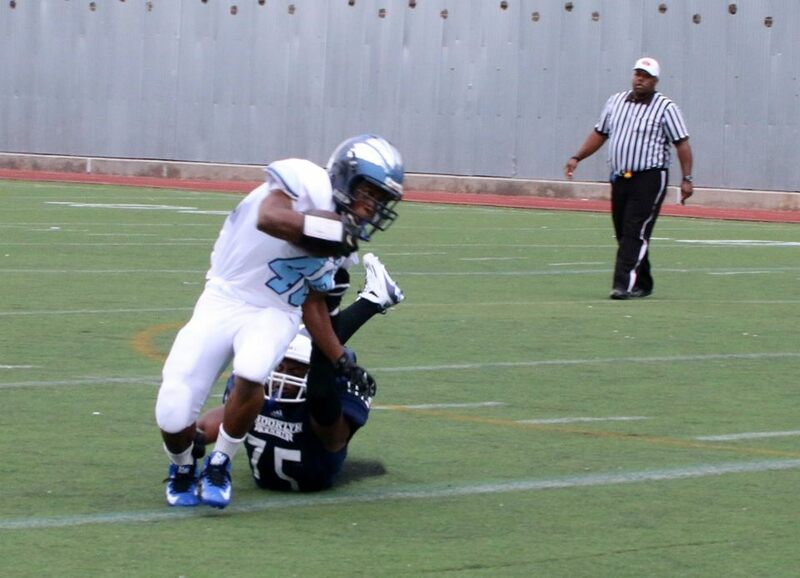 PC: John Marshall Mantel Michael Marcovici had a 22 yard touchdown run against Canarsie. 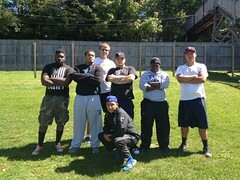 Brooklyn Tech fell to Canarsie by a score of 24-6 this past Friday. 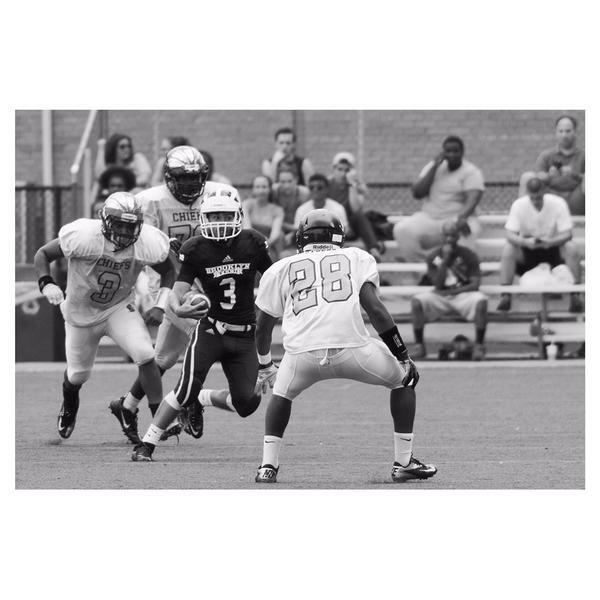 Tech turned the ball over five times and failed to capitalize on offense behind 98 yards rushing by Amani Murphy, Jr.
PC: Aleksander Kamornik Amani Murphy, Jr. (#22) rushed for 98 yards vs. Canarsie. Tech came out strong on offense on their first drive with a Murphy run of 43 yards. Penalties pushed the Engineers back and their drive ended with a snap over the head of QB Minju Kim. 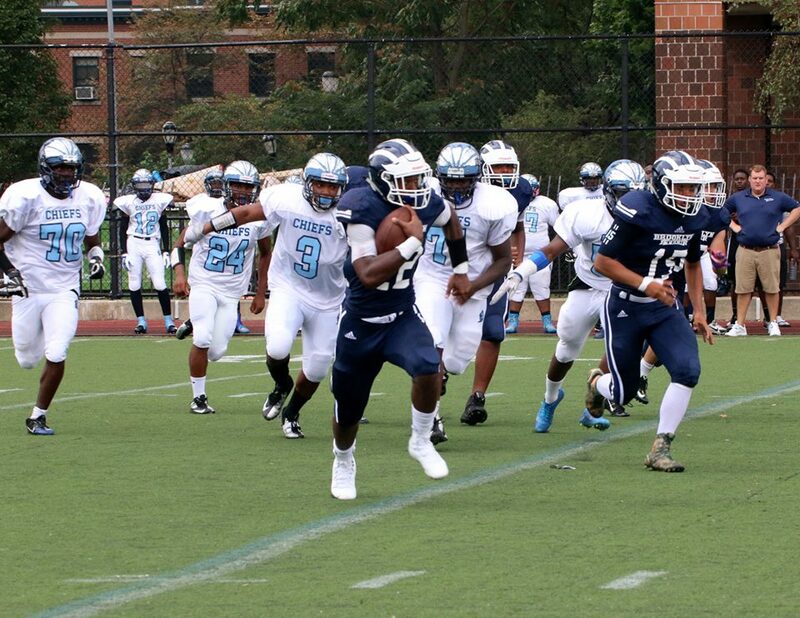 Canarsie capitalized early on Tech mistakes, following up an offensive touchdown with a fumble recovery on the one yard line following a Nick Johnson fumble on kickoff and a subsequent score. Bo Henry took the next kickoff 68 yards. Unfortunately, the Tech offense turned the ball over on a fumble exchange. The halftime score was 18-6 following Michael Marcovici’s 22 yard TD run. The scoring was done after Canarsie took their first drive of the second half down for a TD. 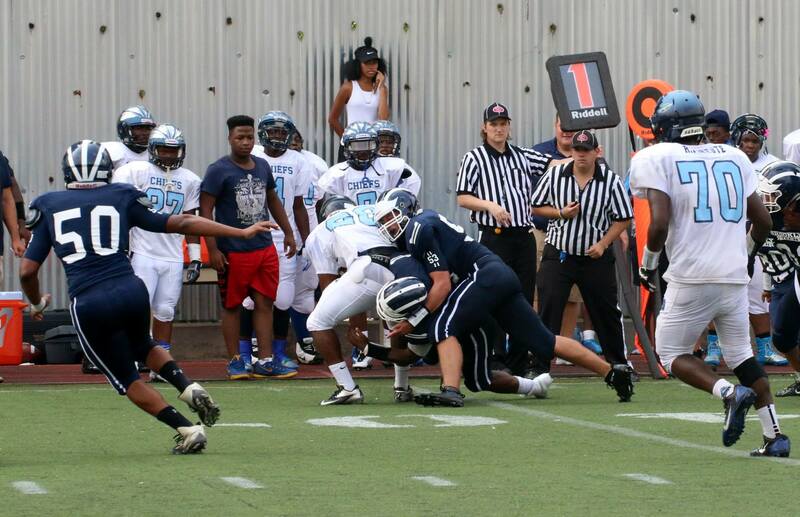 Robert Deokinandin forces a fumble and recovers vs Canarsie.